Family-Friendly Annville Cottage - Perfect for Hershey Attractions! 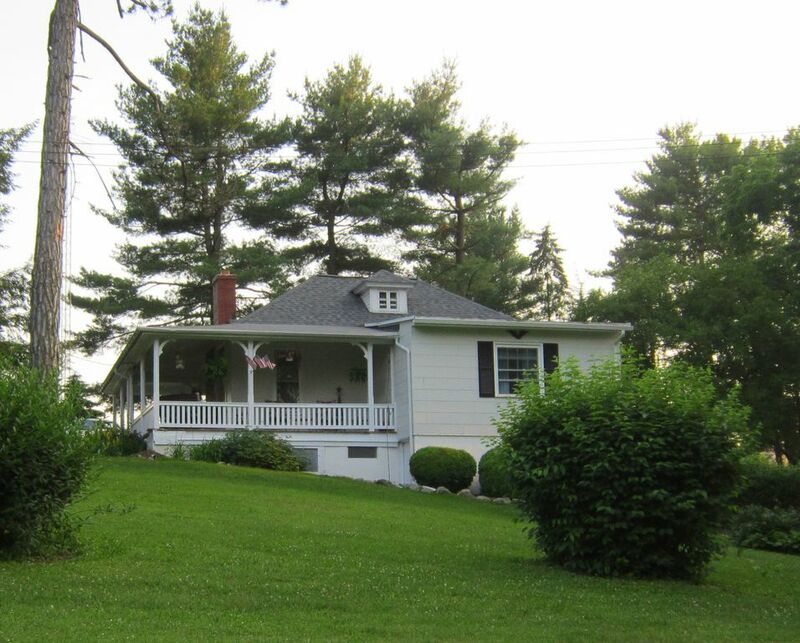 This historic cottage sits on more than an acre quiet country land, and backing up to farmlands. An adorable, family friendly getaway in the heart of the Pennsylvania Dutch Country, we're a quick drive to all Hershey attractions including Hershey Park, Hershey Gardens, Antique Automobile Club, Giant Center or Fort Indiantown Gap. This one-story home features a spacious great room with french doors leading to a wrap-around screen porch, updated kitchen, three comfortably appointed bedrooms and a sparkling tile bath. Fully appointed kitchen includes dishes, pots and pans, etc. Enjoy free cable and wifi. Conveniently location for Lebanon Valley College, Hollywood Casino at Penn National Racecourse, Hershey Medical Center and the PA Farm Show. Enjoy WiFi service at the cottage, included in your stay. Always clean, quiet and relaxing. Great getaway year after year. We had a very relaxing vacation in this cozy cottage but with still plenty of room for everyone with 3 bedrooms. Our 8 year old loved having his own room. Our favorite part was sitting on the porch listening to the birds while drinking wine and smoking a nice cigar. We also loved doing puzzles on the table in the evenings. The only suggestions we would make would be some floor lamps for better reading light in the livingroom, and maybe a foam mattress topper as the beds were a bit firm. But we had a fantastic time in the countryside. If you're looking to relax and getaway from noise this is the place. Had everything we needed for our stay. Was approximately 20 to 30 minutes away from Hershey park which was perfect. Quiet neighborhood with plenty of space. Great stay! Everything was great. The place was very clean and kept well. I recommend this property. Beautiful home in peaceful location! We had a great week in your home. It had everything we needed! Close to the attractions in Hershey as well as shopping and restaurants but far enough away to have quiet nights. Would defintely stay here again if we come back to the area. Really nice PA cottage in quiet location. Our stay at the cottage was wonderful. It served as quiet place for evenings and a good central location to see PA historical sights. We visited during the autumn and the weather was great. The cottage is tidy, comfortable, and quite large, with a beautiful wrap around porch with chairs, tables, etc. We definitely enjoyed it. Hersheypark and attractions are nearby, approx. 20 min. Hershey auto show, approx. 20 min. Hershey Medical Center, approx. 20 min. Lebanon Valley College, approx. 5 min. Ft. Indiantown Gap & National Cemetery, approx. 10 min. Memorial Lake State Park, approx. 10 min. Penn National Racetrack & Casino approx. 15 min. Swatara State Park, approx. 18 min. Harrisburg City approx. 30 min. Lancaster and PA Dutch/Amish Country approx. 35 min. Swatara Creek kayaking approx. 3 min. Annville Cottage is a smoke-free and pet-free facility. No smoking or pets are allowed in the house. We appreciate your compliance.